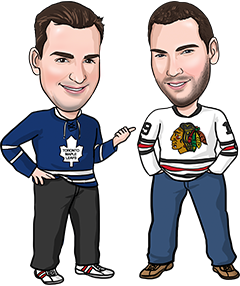 Welcome to our NHL Sportsbook Reviews page for players NOT located in Canada or the United States (sportsbook reviews for Canada are here and US are here). Below you can read more about each sportsbook we recommend and click for a full review of each if you want more info. There are literally thousands of online sportsbooks right now and we’re only comfortable highly recommending the following options. Which NHL sportsbook is right for you? Well, that depends on what you’re looking for. The best odds? Pinnacle. The largest bonus? Bet365. The security of a publicly-traded company? William Hill. We recommend you have accounts with a minimum of two sportsbooks in order to have access to the best odds on the game you like. We’ve ranked the online sportsbooks in order of our preference but honestly they are all good options. If you wanted a good signup bonus we wouldn’t recommend Pinnacle Sports to you even though we rank them #1 since they don’t offer bonuses. Pinnacle Sports is our top recommendation for sports bettors looking to get the most value from each NHL wager. No online sportsbook offers better odds on NHL games. 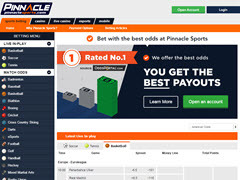 Generally regarded as the best overall online sportsbook, Pinnacle Sports post lines early, never closes winning accounts, and pays out super fast. The only thing you won't find here is a sign up bonus which aren't offered due to the low odds they provide. A great choice for NHL bettors from across the world (excluding the United Kingdom, France and Costa Rica) because of their reduced juice sides and totals as well as a wide selection of props. 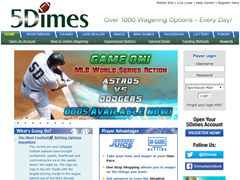 One of the top sportsbooks that accepts bitcoin deposits.